There are a huge variety of beach wedding sites, romantic beach vacation rentals and beach resort hotels in the USA and the world. Long Island and Virginia Beach in the East Coast to California offers a multitude of coastline favorite wedding sites and honeymoon resorts. We cannot forget the beautiful lake regions in our USA that provide the lakeside backdrop for wedding celebrations and inspiring honeymoons. We have found beautiful settings from the tip of Florida to Maine where beach weddings flourish along the Atlantic Seaboard. From Newport Beach, the beautiful New Jersey coastline, Chesapeake Bay, Virginia Beach, South Carolina and the Atlantic coastline of Florida around to the Gulf Coast reveals hundreds of remarkable hotels bed and breakfasts, inns, vacation rentals and resorts. These wedding venues and honeymoon locations provide many styles of services and you can discover these as you open up links on WeddingLinks.co. Some will house your guests making them a perfect wedding destination. Event sites sometimes have all-inclusive planning, while most give you a list of recommended local reception services eager to complete your celebration in style. We know many couples desire a private and/or small family wedding or choose to elope. Often this is where the vacation rental on the beach works well for couples and they are great ideas for housing wedding guests for a nearby celebration. Not all beachfronts are safe for swimming – if this is a beach party or vacation time please inquire. So many couples become engaged at various times during the year. We would like to congratulate each of you as you begin your wedding planning journey. Instead of a bike to take the journey - read on to find out about the vehicle of tools we offer you. You will soon find out, there are a multitude of decisions to make. Many of you understand the steps toward a well planned wedding, how to stay within your budget, timelines and prep time you need. For others, you will need some help - especially with lowering your stress over all. e-Book on WeddingLinks.co with your management forms and gifts. You will also gain your budget forms, timelines for rehearsal and for the day of your celebrations. There is a wealth of advice from former brides and myself. Planning to be in California for your wedding celebration - We just released our 2015 "Best Style Wedding and Honeymoon e-Magazine with ten distinct regions throughout the state for easy reading from IPAD or PC. Colorful, fun articles, and Award Winning Businesses for each region. There are many great planning tools available on WeddingLinks - that include a gallery of Bridal Dress Designers on WeddingLinks.co - our mobile friendly website....Also the Local Bridal Shows are linked. From magazines to books and we offer an audio book for those commuters. You will find detailed wedding planning articles addressing every subject on WeddingLinks.com. Plan your honeymoon from our complete travel resource on HoneymoonLinks.co with great ideas for destination weddings and honeymoons. everything in one spot for easy planning. Set your style with wedding flowers, bouquets, ceremony and reception table decor. This takes several concerns into consideration. Determine your love of flowers, your favorites, whether the chosen blossoms FIT the venue you have selected and your budget! Choosing who will complete this for you also rests on your passion for flowers. Floral Designers - Can pull the aisle, ceremony area, bouquets and reception flowers together to enhance and complete your theme. Full Service Florist - Often have someone in their shop that specializes in floral design. Grocery Stores - Will often have someone who can create the basics of most arrangements, but do not deliver - nor do your cake flowers (if necessary). Do Them Yourself - Buying wholesale and creating the bouquets is NOT for the bride's hands. Your hands are in many photos and flowers are not easy to do - staining and breaking nails. Often I am in awe at what a floral designer or florist will create. This photo of a design specialist brings a soft combination of flowers into a pure romance bouquet...and this photo does nothing to really show you how beautiful the above creation is with sea shells for a beach wedding. Your altar or ceremony flowers, arches, canopies and settings for your nuptials bring in the romance and can key the color theme you choose. We see so many exciting ideas and unique floral displays. There are a few concerns for the tables and I will address these. 1. Centerpiece flowers on your linens should display low (no higher than 12 inches) or quite high 1.50 to 2 feet. The ability to talk across the table without hindering the view is important for your guest's enjoyment. 2. Most flowers hold up well, but choose wisely as some have excessive perfume and may give a concern for hay fever/headaches. 3. When your colors from the ceremony work well with your reception room selection, your flowers from the ceremony can be transported to the reception and used at the head table and/or on the cake table or as an entry display. 4. Understand prices and availability have a great deal to do with the season of the year. ie Valentine weddings are sooooo romantic, but trying to put your flowers together for a wedding is often a challenge, and much more expensive. (Place your order early on these). notice how the floral color choice pops in the photos. Whether you are attempting to achieve a loud WOW or a hushed awesome wow, you will want to set the style and add romance to your wedding with flowers. They are at the top of the list in achieving themes, fantasy, passion, flirtation to your wedding and reception. They also bring creative beauty to indoor and outdoor settings. Wow your guests with the vibrant hues, exotic or traditional blossoms available today, or draw them into your romantic setting with soft floral shades, tulle and candlelight. With our worldwide flower markets anything goes in today’s wonder of flowers. Imagine the remarks from the guests if you had no flowers… We have many local florists linked in WeddingLinks.com for every budget. · if the flowers were delivered on time and was the order what was talked about and requested? · if the order was filled completely and marked for who gets what? · if the flowers were fresh and held up well throughout the day? Your best question is ....Would use that florist or floral designer again? We will discuss table flower decor in the next blog. Questions, join Judith Rivers-Moore on Facebook. 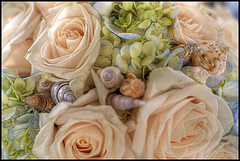 WeddingLinks.com shares 3 articles for ideas about flowers and ways to purchase rose petals and Hawaiian wedding flowers. Congratulations!! That ring looks wonderful on your left hand. He popped the question and you said yes. You’ve set an approximate date and now all the decision-making begins. While it may all seem exciting, I often hear from brides-to-be … it can be overwhelming. There are hundreds of decisions to make from the engagement to when you finally sit down at the reception. It is important you enjoy and remember those wonderful moments. 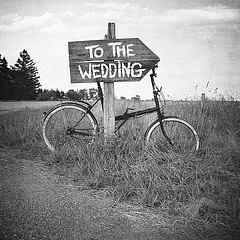 So take a deep breath and go take the online wedding planning class at www.SuperStarWedding.com. After teaching the subject of wedding planning at several California University extended education classes, it seemed natural to turn it into a WEBINAR for brides. Things have changed so much over the years that even if you helped your sister or were married before, this will inform and encourage you to develop you and your sweetheart’s wedding – your way. You receive the wedding timeline, part of a planning book, budgets and some audio clips to move you through the process. You will find humor, colorful photos and guidance - are all part of the enjoyment. No sign up –other than your e-mail address and the class is 90 minutes at your computer. Join our blog and stay current with trends, photos and enjoyable ideas for your wedding. Judith Rivers-Moore is the wedding coach on Facebook. Give us your questions. HoneymoonLinks.co and use our mobile app to access from your smart phone. Everyone is buzzing about the new color trends for 2013. Understand no Bride has to follow the trends...if you have always dreamed of a all white wedding or envisioned pink, gold, blue or black, people will still happily attend your wedding day celebration!!! But if you want to know.... Emerald Green is showing up everywhere. From the deep emerald green to various teals, aquas the trend is showing up on movie stars, in clothing, table settings and mmmm beautiful emerald rings. This trend combines with the last several years trends in having your engagement ring with your birthstone or favorite stone. Now you know what color I am referring to - enjoy the search for your party rentals and bridesmaid dresses on WeddingLinks.com. It take a multitude of services and clear communication to send a bride down the aisle. Much of it leverages on being clear about what you want, setting those specifics into a contract and reminding your vendors/services near the date of your agreements. I hear both sides in the business - bride's upset and the vendor's bewilderment. Understand these wonderful wedding services bring a vast number of talents to your wedding day celebration!!! Many have business degrees, a passion for what they do, and tons of education on their subject. You really want to look for wedding services with five or more years of experience. For better service, make it clear - they are not to drink alcohol nor do drugs, nor be involved with your guests - while working for you. Be clear about their breaks, food provided and any other specific details. The Vendors/Wedding Services are not mind readers. it is very difficult to do last minute changes. They need to know who is in charge (wedding planner) and who else will be assisting in directing the vendors. At the time of contracting .....Please outline with them the specifics that mean a lot to you. Go back and review that list or update accordingly to your changes. Not everything goes into your contract. If they have asked YOU to to provide a music list, or YOU want special photos or unique details on food preparation or film presentations for a videographer - do this quickly so they have time to map it out. Make your list, go over it in person and/or e-mail it. Call to confirm they have received you e-mail and they understand your list and can provide what is on it. Communicating the details of what you want is important!! We have posted a number of lists for the various vendors on http://weddinglinks.com in the Articles Area Please bring a witness to vendor meetings. You will then have evidence to prove you did notify them of your requests. Join Judith's Blog and Please Add Your Input To Our .... Tips! 1. Remind the vendor (such as the videographer) to call you prior to leaving anything out of your video.....that scene may be what you wanted more than any other. 2. Get music requests in early, so the dj or musicians have time to find the music or practice the request.